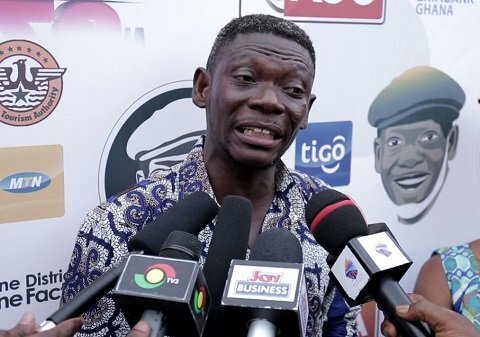 Agya Koo speaks on the state of Kumawood Actor, Agya Koo attributes the current state of the Kumawood to his exclusion and sideline from the industry. He made these statements on Onua FM’s entertainment talk show. Furthermore, according to him, he and some actors toiled to promote the movie industry. However, some people in the industry connived to sabotage him. “After I was sidelined, they forgot I had a huge following, and I took away my huge followers. They brought in new people to replace me, but they forgot Agya Koo’s followers are bigger than the actors that they replaced me with. If they want to revive the movie industry, they should go back to the drawing board because my exclusion has caused the decline of Kumawood movies”. Furthermore, the host asked him about the decision of the industry players to seek spiritual help. The actor was emphatic that the current state of Ghanaian movies especially the ones produced in Kumasi (Kumawood) has no spiritual connotation. However, it is due to his exclusion from the movie industry.